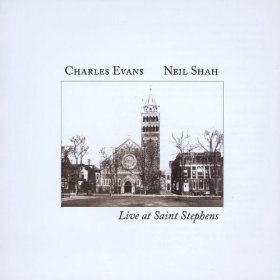 Baritone saxophonist Charles Evans and his longtime friend, pianist Neil Shah, recently released Live At Saint Stephens (Hotcup, 2009), a duet recording that showcases Evans’ amazing tone and inventive compositions. In this interview, Evans discusses his focus on the bari sax; his relationship with Neil Shah and how it impacts their music; and his plans for â€¦ bass fishing. Learn more at charlesevansmusic.com. Previous PostPrevious Buy my book!